Peter Rinaldi, owner and publisher of Miss-Lou Magazine and the Natchez Sun XPress, has caused widespread anger with a racist column calling for black youths in Natchez, Miss., who may be involved in gang activity to go to a local park and murder one another for the amusement of observers. In Miss-Lou Magazine’s Jan. 11-24 print edition, Rinaldi called for a “Gangbangers’ Rodeo” to bleed out what he considers to be the dregs of the community. “As the population becomes more demographically poor, uneducated, unskilled, and dominantly African-American, the number of shootings have gone through the roof,” Rinaldi wrote. And by “through the roof,” Rinaldi means “three shootings, two wounded and sadly, two deaths.” But Rinaldi doesn’t consider these deaths to be a bad thing. In fact, he thinks more murders may be helpful. So he suggests that the city sponsor a “Gangbangers’ Rodeo,” where Black youths who may be involved in gang activity get their guns and murder each other until there are none left standing. This is not such a bad thing, as one cynic remarked more criminals who shoot each other and are “taken out,” the safer it is for the rest of us, so the logic goes. Three shootings, three bad guys eliminated. Fifty shootings, fifty bad guys eliminated. Open to all gang-bangers with a .45 or 9mm handgun. Limited to 20 rounds per person. Entry fee $100. Must be paid in cash in advance. No checks. Limited to the first 100 people who sign up. The 100 people will be drawn up in a circle. When the referee’s starter pistol goes off, then the gang-bangers can start shooting each other. Last man standing (or alive) wins the $10,000. If only a few people are left after rounds are fired, the judges will give each remaining contestant another five rounds to finish the job. Note, in addition to the inhumane assumption that all victims of gun violence deserve to die, he doesn’t even mention the criminality of white youths. Rinaldi goes on to write that “rap music will be provided by DJ Medical Mortem Medical Attention” and says that children must be 13 or older to participate. It is clear that Rinaldi thinks he’s clever, as so many mediocre, racist white men do. In fact, he’s typical—a typical hatemonger trafficking in white hysteria and pathologizing black youths and the black community at large in an attempt to be seen as rejecting political correctness in hopes of making America great again. He’s a cliché, a pathetic cliché using his media real estate to plant seeds of bigotry, hatred and fear. He has conflated poverty, education level, unemployment and blackness with violence without once pointing out the violent systemic racism that locks these things in place to secure whiteness and its last-ditch efforts at supremacy. Poverty is violent. Failing schools are violent. Substandard health care is violent. All of these things are issues that Natchez faces as a thriving tourism industry built on the backs and bones of our ancestors that feeds the mint julep and Mammy fantasies of white people from around the world. 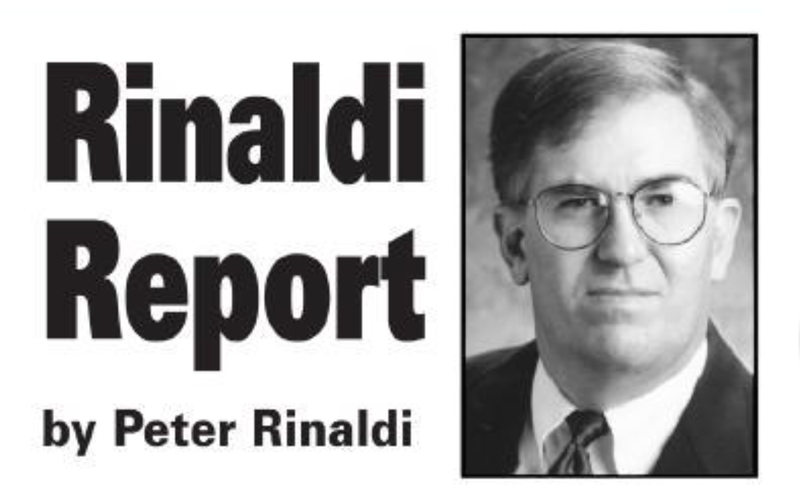 Rinaldi’s words are violent and just the sort of filth city officials have come to expect from him. “I’m highly upset by this, and I’ll be addressing it in our board meeting,” Ricky Gray, supervisor of District 4, told The Root. “This is something that you would expect from the Ku Klux Klan, but I’ve been here a long time and have never seen anything like this. Joyce Arceneaux-Mathis, alderwoman of Ward 1, was not surprised by what she called Rinaldi’s stupidity and said that he’s been a card-carrying racist for a long time. Arceneaux-Mathis said that she does believe that crime needs to be addressed in the community, but she makes it clear that the issues are systemic. “All lives matter when black lives matter,” she said. “There needs to be more recreation, more education and employment opportunities. We need to listen to our young people and bring them fully into the community. Too many of them don’t think they’re going to have a long life, and when I was younger, I was prepared to live a long time. Our young people don’t feel that security. “I think it’s time that we had a summit between law-enforcement officers and the community at large; that’s what Rinaldi should have been talking about,” Arceneaux-Mathis continued. “I attended a Hip-Hop Summit last month, and I learned so much. That’s what Rinaldi should have been talking about. Be clear: There is great work being done in the city of Natchez by committed community leaders and elected officials who understand the toxic and pervasive racism that threatens black youths. Rinaldi purposely frames his racist propaganda as a black issue, a poor issue, an uneducated issue. As if the increase in the number of black citizens threatens white fragility and the customs that white people hold dear. His transparent and disingenuous attempts at criminalizing the very existence of blackness should be called out for the dangerous, racist rhetoric that they are. Editor’s note: The Root reached out to Natchez Mayor Darryl Grennell, but he was unavailable at the time this article was published. We will update with his response.